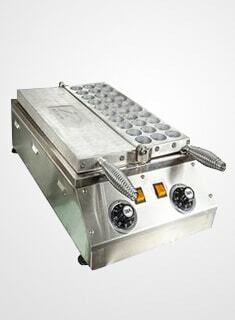 Upper and bottom heating elements for sufficient heating. With bulb inside to keep warm. Individual controlling for upper and bottom temperature. Equipped with heat-proof spring door for complete sealing. Digital display for easy observation of working status. Various shapes of pans for chosen.